John Crestani – Super Affliate System 2.0 Contains: Videos, PDF´s, Files…. is it me or the torrent is not working? I am using ruTorrent but keep getting an error when trying to download? Download the torrent file again. If you’ve seen JC’s earlier course, you know it requires Nutryst which you could not access without buying the course. But John no longer owns the company so you can sign up at acnutryst.com. Thank for this information Bill. Appreciate it. JC’s agenda here is affiliate sales via MOBE, which just got shut down by the FTC……..! JC is a sneaky f*cker but his course teaches a lot of affiliate game fundamentals. Very useful for people new to the game and the buyer data method still works. I would advise to source your own data though if you want to become really successful with it. Master voluum, get a reliable fast hosting and test, test, test a lot of stuff. Thanks, great advice! I looked deeper and you are most correct, there is a lot of good content in this program! how do you source buyer data? Please, check it at our torrent site. I’m new to the affiliate game but from watching the sale webinar i understand that his system works by doing FB Ads that links to affiliate landing pages, targetting lookalike audiences build on customer emails, what part did MOBE helped doing (except for his getting an affiliate commission..), and what program can replace that part (if its a need to)? Thank you for the course, I have noticed that the link to : cloudfront.net are not playable . Once the link is clicked, it gave this message : LATER VERSION OF FLASH REQUIRED. Even though the flash is up to date. This message is still on. Would you please check Michael? Really highly appreciate if you can help to make it work by another link ( or a downloadable version ). Hi, I am sorry, not able to do anything about that. Using uTorrent and it’s still saying the torrent isn’t valid. Any suggestions? I burned 5000 bonus points for this. Update it. Then download it again. 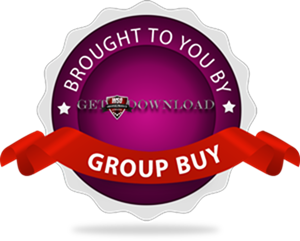 HI Michael i just bought the group buy and by mistake i registered again for the u torrent, even though i have it once, when will i get the course now ? Hi, please, you registered for utorrent? What does that mean? John Crestani becareful of this guy is just a student of Charles NGO offline course who took whatever he learn and combine it into a online course and sold it for 10k to be able to enter his at that time affilate network “Nutryst” theres a old JC course here some where so u can see it. So he earns most of his money from selling courses and making his students use nutryst on his so called private affilate network to make more commissions. His course is only good for new fundamental basic marketers. I would like to hear what others are thinking of this course. I saw an older version and he did all the videos in a coffee house and the sound was terrible, could not understand very well. With the changes with MOBE all one can do now is affiliate offers I think. I would like to hear more of what buyers are thinking. Is the tracker down? The torrent has been stalled at 0.0% for a whole day now. Hi, no, it is ok.